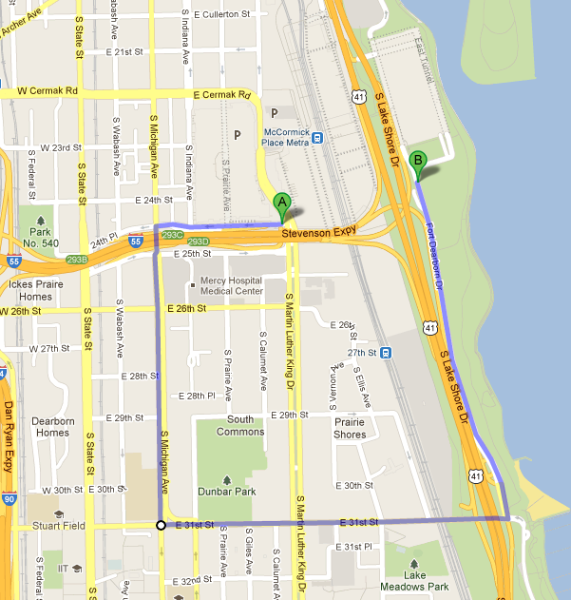 My McCormick Place parking adventure took me 45 minutes. Big hassle. Next time, I’ll go there with a backup plan in case things are really crowded. Here’ some background. I am delighted to be attending the 4G World conference at McCormick Place in Chicago. I have been to conferences here for years and I was in for a surprise this year. The new West building is completed and the conference was sharing space with the PACK EXPO. The Packaging Expo is freakin huge! It takes up the North, South and East buildings. This is like the size of the Consumer Electronics show. The most worthy 4G World conference takes up one floor of the new West building — lots of heart, but not alot of floor space. That’s ok, until it comes time to find parking! As usual, I drive to the convention center and park at the usual parking lot, Lot A. Well it was full. I drive up and into the parking lot and the attendant said sorry full, please drive out and take 3 rights and a left to find the other parking lot. Well I couldn’t find any parking at all. The hotel parking was full. The private parking was full. So I stopped and asked someone else for parking. It was a long list of directions; I wrote them down. If you are programming your GPS, program Lot A (that’s the one you want to park at), but also program Lot C into your GPS for backup.